In this month’s Australian Journal of Public Administration I’ve published research on digital government and open innovation—or at least the curious form of open innovation that the NSW Government has adopted in recent years. The next time you look up the location of your bus or train on your favourite app, spare a thought for the digital innovation that happens in the public sector today. Here’s the story in brief. When the first timetable apps appeared in 2009, RailCorp threatened a number of software developers with legal action over breaches of Crown copyright. With little appetite for risk, RailCorp cited concerns over the potential inaccuracy of timetable data on the apps, and stated its desire to develop its own mobile development strategy. No such strategy ensued. The developers appealed to the Premier of NSW directly, who brokered a deal: Access to static timetables was granted to the developers under strict contractual terms (though many other cities around the world offered timetables as ‘open data’), but the real-time locations of trains and buses would not be made available. 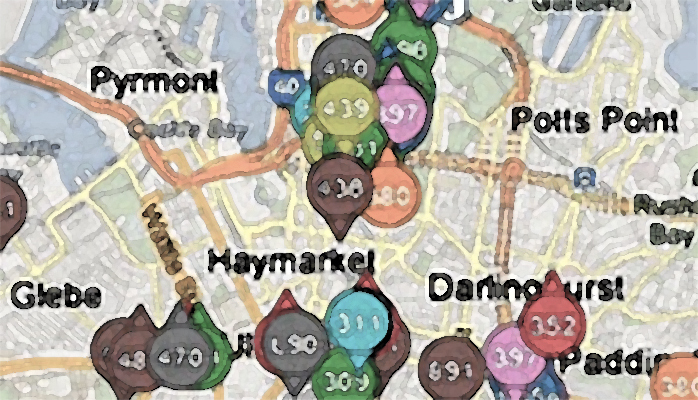 In 2011, at an apps competition run by another state department (Finance & Services), it took one small software business 1.5 days to create a simple app that showed the location of all Sydney buses live. During the two weeks the app was available, it received 200,000 views, but Transport for NSW (TfNSW) then withdrew the live feed over technical reliability concerns, given the amount of interested web traffic. Obviously if we do embark on that in the future we want to make sure the organisation we are dealing with is going to respect the integrity of the data we are providing them and is going to make sure that they are used in a good way that’s going to help people. Then in December 2012, the Minister announced a curious form of open innovation. TfNSW contracted PricewaterhouseCoopers to run new competitions for app developers, and a judging panel selected a limited number of winners who alone would be granted real-time data from that time onwards, subject to terms favourable to the Government. So in the end the NSW public got its real-time public transport information, albeit from a restricted group of developers. But it all could have happened years earlier, and at much less cost to the Government. And here are the implications for digital innovation. In the digital sphere, a four year development cycle is far too long, and the heavy contractual preferences of the Government deter smaller entities, who are wary of the large power imbalances. Together, these factors severely limit innovation. Digital is different because, uniquely, the output of digital technology by individuals can be commensurate with the output of large organisations. Open innovation aims to access a larger pool of resources than typically available to the public sector, but in general, NSW’s existing approach favours the larger (and more expensive) players who can manage through procurement processes. This was a brute force assault by a bunch of coders … on the Bimingham City Council website. They were so p***** off that the website had cost about £2.8 million to redesign and relaunch—this was a very bad website … —a bunch of volunteers got together, ripped all the information out of the Birmingham City Council website and reassembled it into this thing, BCC DIY. … They created a fully functioning council website in about ten days … using … maybe hundreds of hours of volunteer time … —professional coders who had a sense of civic good … And for a while, you could actually pay your council tax through the BCC DIY website, because they found that the [council] website was so badly coded, they could just rip the payments module out and represent it in their own site. Nevertheless, I think NSW is making important advances in digital government. According to the Government’s policies, government data are now open by default, and a ‘digital-by-default’ agenda is being pursued for government services. In the coming years however, my hope is that similar advances in collaborative innovation will enable the effective implementation of these policies. From Katsonis and Botros (2015), Digital government: A primer and professional perspectives, Australian Journal of Public Administration, 74, 42-52.